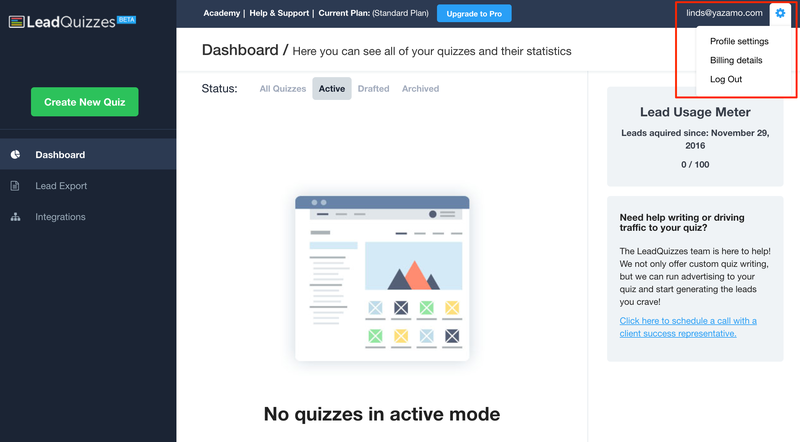 How Can I Change The Email Address Associated With My LeadQuizzes Account? Need to update your email? No problem! Just follow these step by step instructions. 2. Click on the gear symbol in the top right hand corner. 3. Click on 'Profile Settings'. Go to 'Email Address', enter in your new email address and hit 'Save Information'. 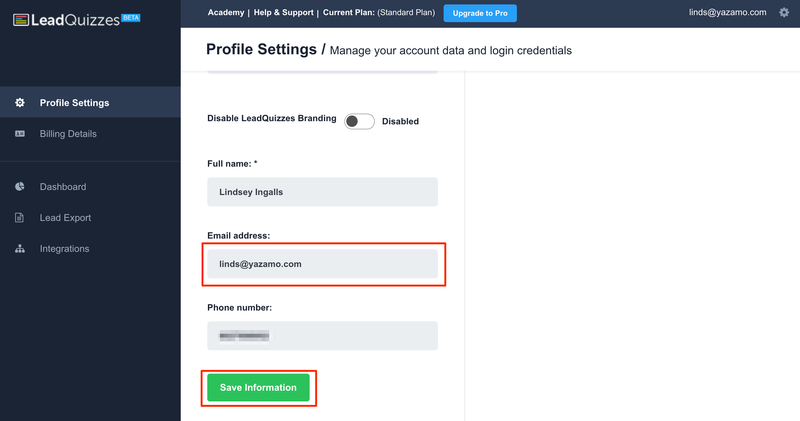 Your new email address will be saved now and you can use it to login!